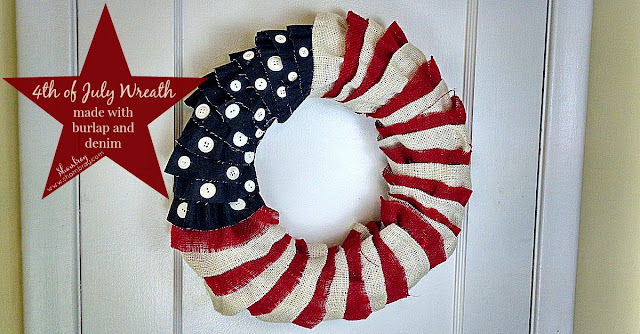 Only one month until the 4th of July. I don't know what it is about the 4th, but I love it. I love spending time with family. I love fireworks, being outside, and all the festivities. We have started decorating for the 4th around here and I had to show my newest addition to my 4th of July decor. 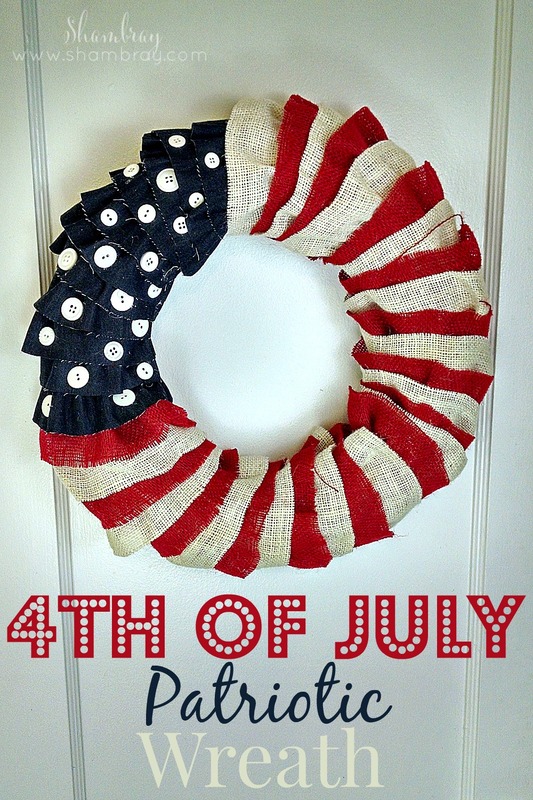 It is a burlap and denim wreath and I love it. I followed the tutorial found on this blog I got inspiration from. It was a pretty simple wreath to put together. Check out my details/breakdown for what I did different, time it took, and cost. I did not wrap the wreath in ribbon. The burlap and denim cover it up just perfectly. So I skipped that step to save time and materials. The only other difference is that my ruffles are pointing down on mine and in the tutorial they are pointing up. That is completely a preference thing. This wreath will take about 3-4 hours from start to finish. Like I said in the beginning it is very simple, but is quite time consuming. The step that takes the most is hand-stitching the fabric strips. However, gluing the fabric to the wreath and gluing the buttons on is very, very quick. This is adorable and I'm featuring it on my #MotivatingMonday linky! I'll tweet you about it! 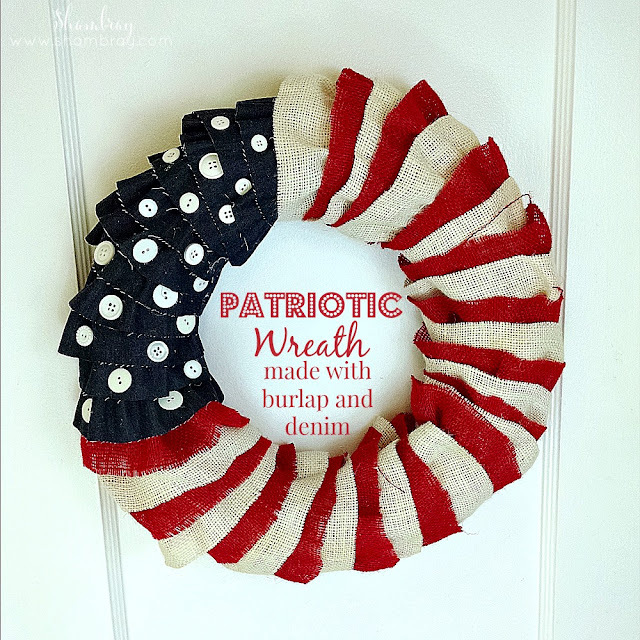 Thanks so much for sharing this DIY tutorial! Did you ever send the tweet? !